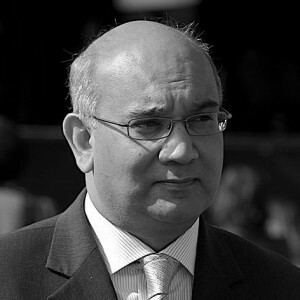 Keith Vaz, MP for Leicester East, appears to be in a spot of bother with the party, and it could lose him the seat on Labour’s national executive which he has held since 2007. There have been a number of accusations about his financial affairs but this time it relates to BAME Labour, the organisation to which he owes his place on the executive. The party was this weekend facing calls to investigate whether he was entitled to that place, on the basis that he hadn’t paid his subs and wasn’t eligible to stand. BAME Labour is technically an affiliated organisation that represents party members from ethnic minority backgrounds. It is, however, rather like Young Labour (which, since last year, is also treated in some respects as an affiliated organisation) effectively run from Labour’s HQ. Court documents submitted by Labour to the High Court indicate that Vaz, who also chairs the Commons home affairs select committee, had not paid his annual subscription to BAME when he stood for re-election to the NEC in 2009. The significance of a seemingly technical infringement is that Labour had argued that another official could not seek re-election because she had not paid her subscription. During a court case between Elcema Jeffers, the former secretary of BAME, and the party, Labour officials successfully argued that Jeffers’s failure to pay her BAME subscription disqualified her. The print/subscription only version of the article also suggests that Vaz may have been invalidly nominated in 2011 as well, and reports that some former BAME officials have hired private detectives to investigate possible electoral fraud. The Sunday Times also itself raises possible membership irregularities, quoting some of the 1000 new “members” in 2009 as having no knowledge of being members. The only publicly available indication of the membership of BAME is the number of ballot papers issued in the 2010 leadership election — 3,363 ballot papers were issued although curiously only 11.7% were returned (one quarter of the average socialist society response) and 35% of these were “spoiled”. Of the votes actually cast, four-fifths were for David Miliband although BAME Labour had nominated Diane Abbot. This reflected Keith Vaz’s own pattern of nomination (Abbot) and voting (David Miliband), and some also say that it reflects the fact that Labour Party officials had been responsible for BAME’s administration, membership and elections since 2006. We note and draw encouragement fro the fact that recent additions to the BAME executive includes a number of leading BAME trade unionists including Kamaljeet Jandu, a national officer with GMB, as Chair; Collette Cork-Hurst, a national officer with Unite, national secretary; and Amarjite Singh, postal worker and President of the Welsh TUC. It is worth noting that Keith Vaz is fortunate to be allowed to sit on the Labour’s national executive: other socialist societies (as well as constituency parties and trade unions) may not be represented by an MP. In a quirk of the rules, BAME is not covered by that proscription. Although the affairs of BAME would seem, at first glance at least, to be pretty dodgy I would suggest that this is not the most important issue regarding Keith Vaz’s membership of the NEC. Apart from the fact that I can find no trace of BAME’s existence or activities on the Internet, I can find virtually no evidence of the political opinions of Keith Vaz. Where are the articles, statements and speeches by him setting out this or that political idea or position? I can find nothing. I started from his own website and went out from there. Should someone who is is so inactive regarding the pubic development of political ideas be on the NEC (a question one might ask of some other members as well)?